In addition to its easy, one-handed action and rugged build quality, the quick-release head on Jorgensen's 12'' E-Z Hold Clamp can be flipped with the push of a button for conversion to a spreader. 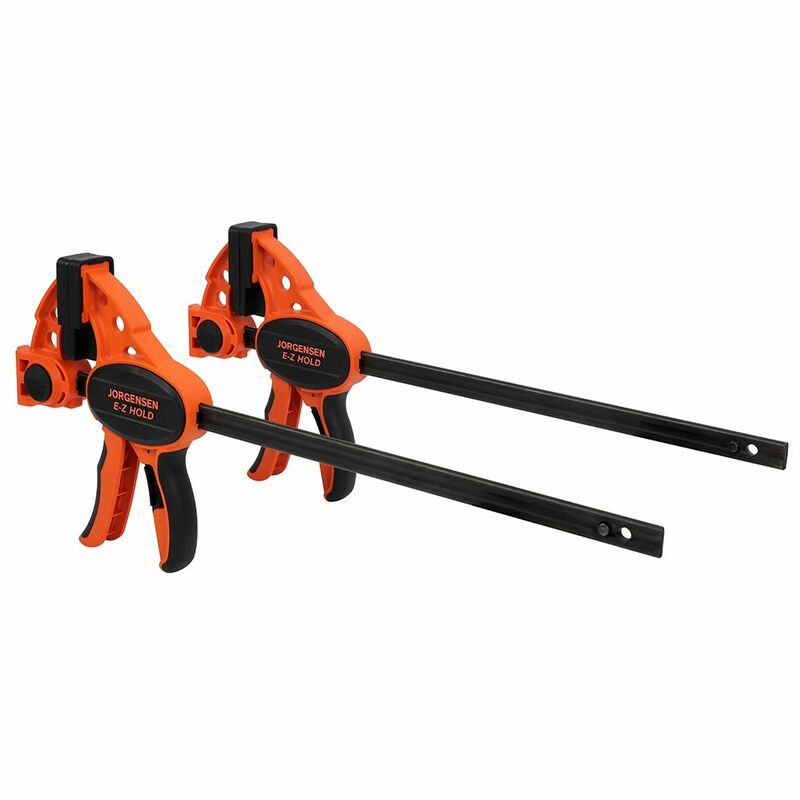 The same quick-release button, combined with the dual-dovetail interlocking heads makes these the first clamps that are ''expandable''—they can be joined end-to-end for greater clamping capacity. Just flip the fixed heads to the bottom of the bar and slide the dovetail heads together for the capacity of the two clamps together, plus an additional 6''. 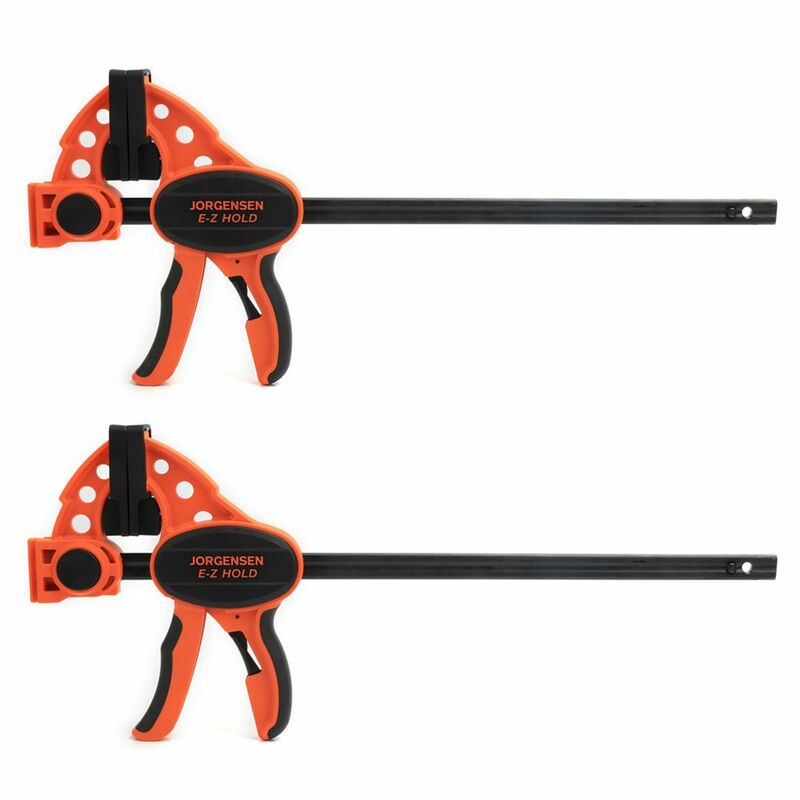 With every two clamps you buy, it's like getting a third, longer clamp for free! 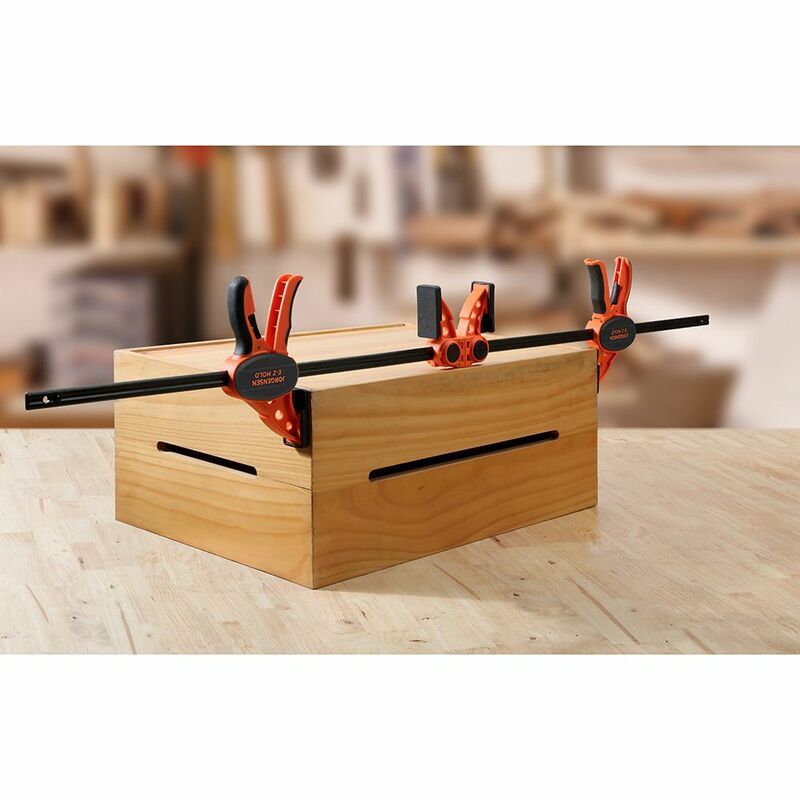 These clamps are of superior quality while being less expensive than the units sold at the big box stores. Added to my clamp collection they quickly became my go to clamps for small projects. On sale. Best price I could find. 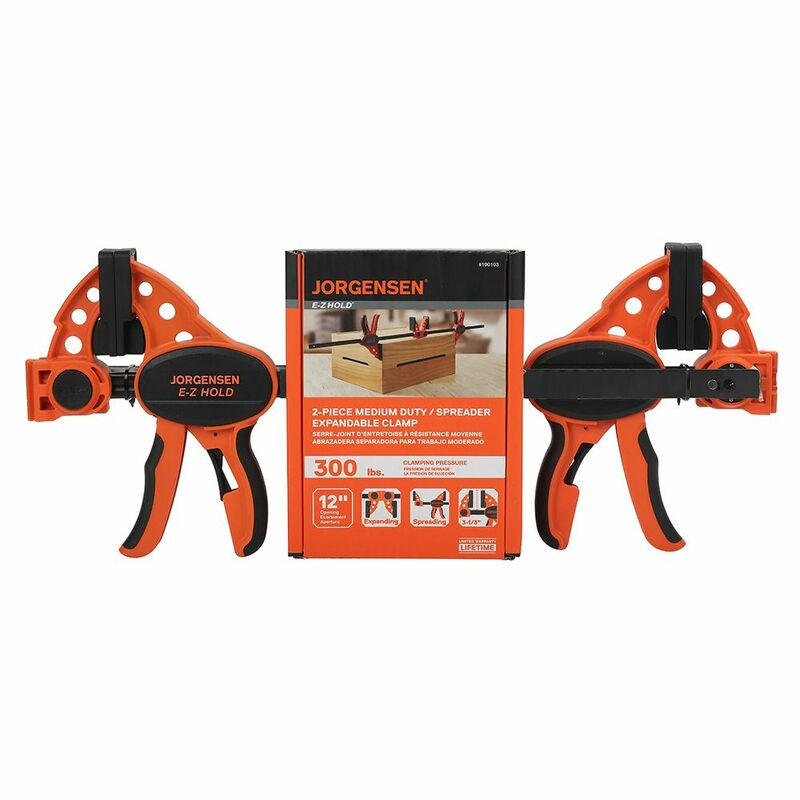 I have 24 inch Jorgensen E-Z hold clamps and I wanted some 12 inch E-Z clamps. I like them, but sometimes the 24 inch clamps are too long. Rockler is offering these at a really good price, so I decided to order them. Thanks Rockler. Where is this clamp made? BEST ANSWER: China. I thought Jorgensen was an American company, but these are made in China. Looks like I'll have to keep looking for Made in USA elsewhere. What a disapointment! Sorry it does not say on clamp and I no longer have the paper that came with it.